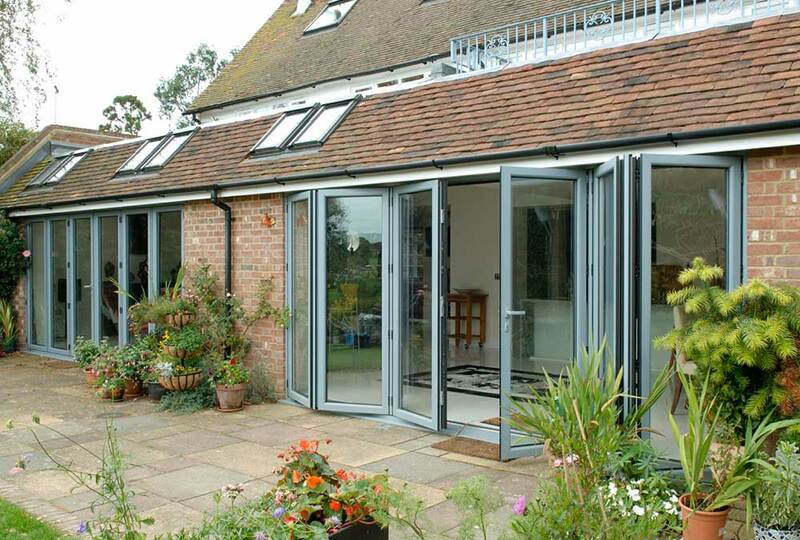 For exceptional aluminium bi-fold doors in Slough, Burnham, Maidenhead, Berkshire, West London and the Thames Valley, look no further than Affordable Windows and Construction Ltd. 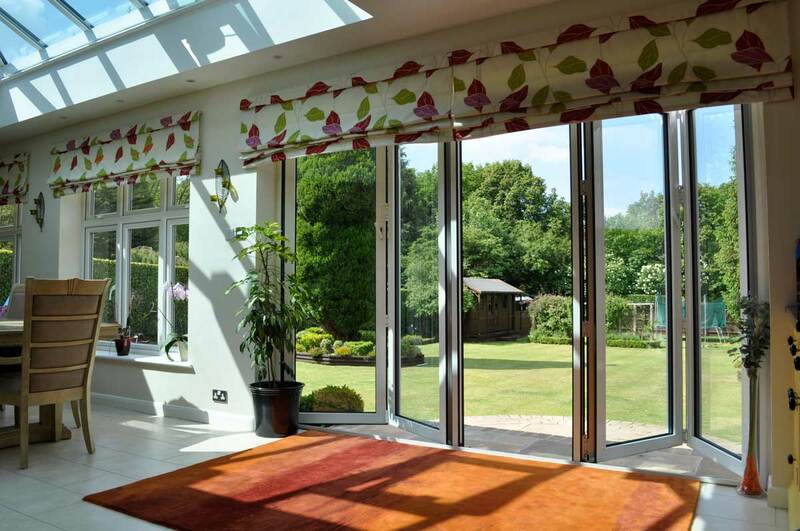 Perfect for creating an open plan effect throughout your living space, or linking home and garden, our Bi-Folding Doors are an ever popular choice for Berkshire homeowners. Available in a range of fold configurations, our Smarts Visofold 1000 series ticks all the boxes, creating a modern effect throughout your home that suits both contemporary and classic properties alike. Our Aluminium Bi-Fold Doors are extremely secure, protecting your loved ones from both potential intruders and the adverse British weather. Offering exceptional thermal performance and durability against forced entry and the elements, we’ve ensured that our Bi-Folding Doors are designed to the very highest of standards. With highly secure hook bolt locks and Shootbolt locking systems, our Aluminium Sliding Doors offer exceptional home security for your Berkshire property. Make your new Bi-Fold Doors your own with a range of fold configurations and colours to complement your home. We even offer a selection of low threshold options for optimum easy access, and can build in stunning integral blinds for that extra privacy you’re looking for. Our hardware is available in a range of colours such as ‘White’, ‘Chrome’ and ‘Black’, to keep your new bi-folding doors consistent with your furnishings and fittings. Aluminium Bi-Fold Doors can effortlessly open up an entire wall of your home, bringing panoramic views and an influx of light to your property. Our double glazed units reduce heat loss with a polyamide thermal barrier, and you can even upgrade to self-cleaning glass or other specialist options for the very best in Bi-Fold Door design. 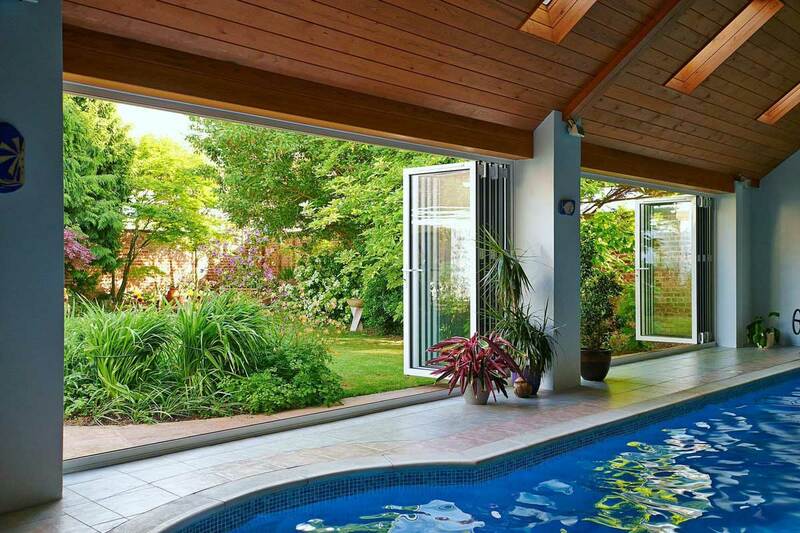 We can tailor your new bi-folding door to suit you, with a wide range of fold configurations to suit every home. 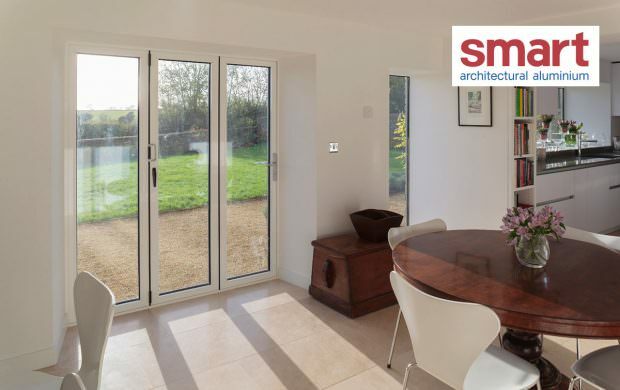 Slide your new bi-fold doors from right to left, or left to right, opening in the middle or one end. The choice really is completely up to you. 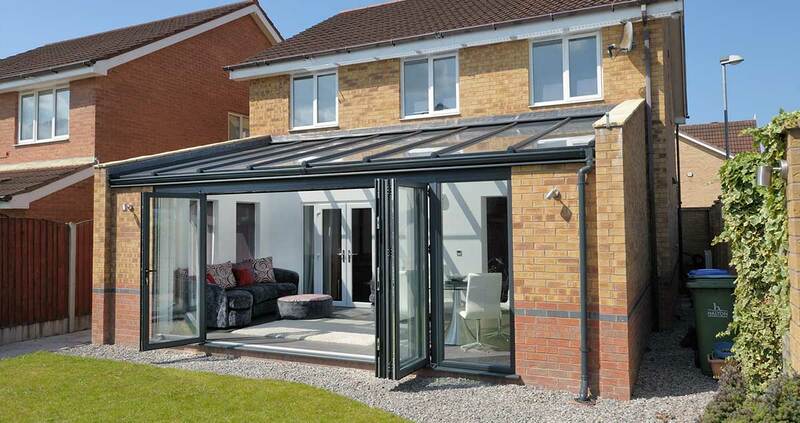 For competitive aluminium bi-fold door prices in Slough and across the Thames Valley, look no further than Affordable Windows and Construction Ltd.
Get in touch with us on 01628 668577 or use our helpful online quoting tool below. Alternatively, you can complete our online contact form to speak to our helpful team. They’re always on hand to help you with any bi-fold door queries and questions you may have.